Add some luck to your next event with this incredible item. The Mood Clover Pencil is a quality wood pencil that uses #2 graphite lead. This item features a silver ferrule and green eraser. 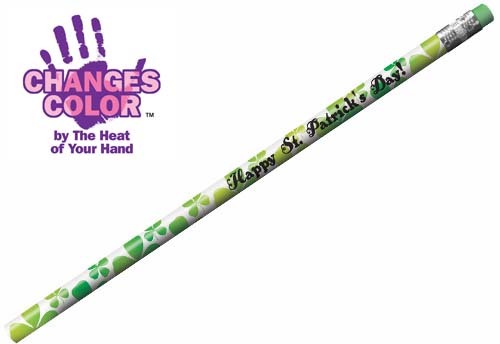 This cool product changes color by the heat of your hand! Select this awesome item as your next favor or giveaway. This pencil makes an excellent addition to fairs or cultural festivals. Special. Warning: Severe weather conditions may affect the mood change.